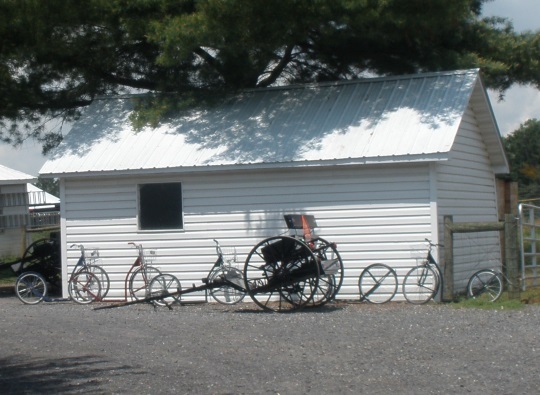 Dr. Holmes Morton, of the Clinic for Special Children located in Strasburg, PA is planning to open a new clinic in Pennsylvania’s second-largest Amish community, known as Big Valley. The modest Lancaster County medical center specializes in treating rare genetic diseases which disproportionately affect Amish and Mennonite communities. It garners wide support from the Plain community, seen financially in donations and auctions which help provide it funding. The new clinic will be known as the Central Pennsylvania Clinic – A Medical Home For Special Children And Adults (update – this article previously described it as another branch of the Clinic for Special Children, which is not the case, though Dr. Morton is involved in both). Morton said patients from central Pennsylvania – specifically Big Valley – are a significant percentage of the individuals served by the clinic. About 500 patients with 91 different disorders live within an hour and a half of this area. “There are not only those children, but also a lot of undiagnosed cases in the community,” he said. 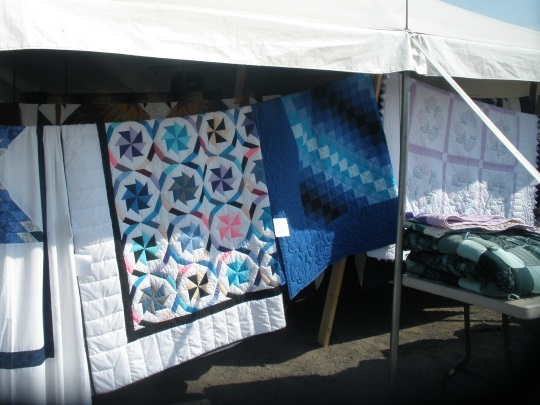 There are other clinics in Amish areas which fulfill a similar mission, such as the DDC Clinic in Middlefield, Ohio, and the Community Health Clinic in Topeka, Indiana. Reader Jerry recently attended an auction benefiting this new clinic in Big Valley, and shares some photos and comments below. I’ve also included a list of this season’s Clinic for Special Children support auctions at the end. Of this season’s five auctions, there are still four which you can attend (3 in PA and 1 in Ohio). Dr. Morton spoke at length about Special Needs Children and the new clinic to open in Belleville. He mentioned Vitamin D deficiency in Amish children and lead poisoning from hair braiding lead strands. I’ve never heard of that before. 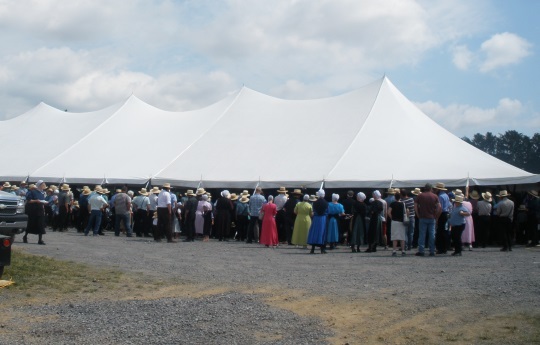 This event was largely attended by Amish. All items were donated and nothing on consignment. Very friendly people and a good time out and about. 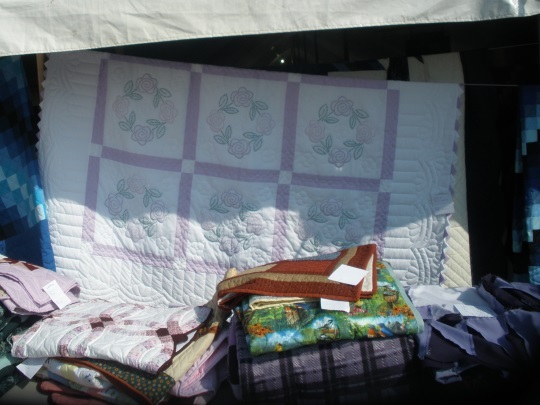 The quilts. Prices have rebounded and these all did well. 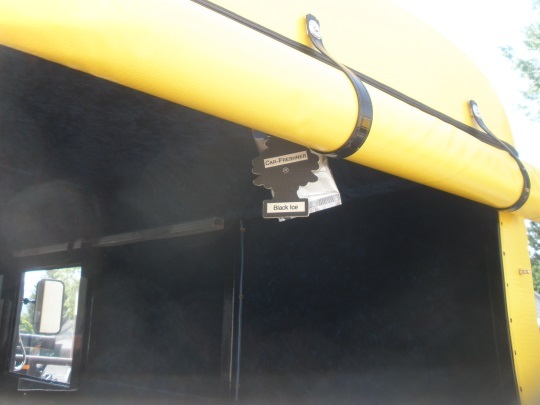 Air fresheners in a buggy! Really? The men (mostly beardless youth) were cooking the chicken. Scooters only up here. The only bike I saw was the one I brought with me. That’s a shame because the terrain in the valley is bike friendly. Near and dear to my heart … my daughter and granddaughter (her daughter) were both born with Pierre Robin Syndrome (cleft palate) and my grandson is on the Autism spectrum. I would love to attend one of these auctions to benefit such a worthy cause. Bless these special children!! Many other cultures have accepted “special needs” children as a true “Godsend.” 1 of our 3 children “has” Aspergers and schizophrenia, as well as being a “slow learner.” Some folks have actually thought he’s “demonized,” among other really negative labels. We are so grateful for being Bible believers. Where we go to “church” is such an encouraging place. There may be a few who are sorta “stand offish,” mainly because they aren’t sure how to relate to or with him, but the vast majority try to be encouraging. If folks could only make/take the time to communicate with him, they would find out how much of a gift from God he truly is. May God continue to grant these folks the strength and patience to endure. God’s special children are truly a gift and I enjoy every moment I spend with them. And I also thank all parents of special children who share their children with the rest of us. Don’t be afraid to ask for help. Many times we just don’t know how to help or respond and we’re afraid of hurting or offending the parents. And to everyone else out there, if you have the chance- get to know a special child. You will truly be blessed. Last, but not least God bless all parents of his “special Angels” ! Wonderful article and wonderful pictures to complement! Thanks for sharing. I know dr. Morton’s brother has spent years laying the groundwork for this clinic, so nice to see it advancing! 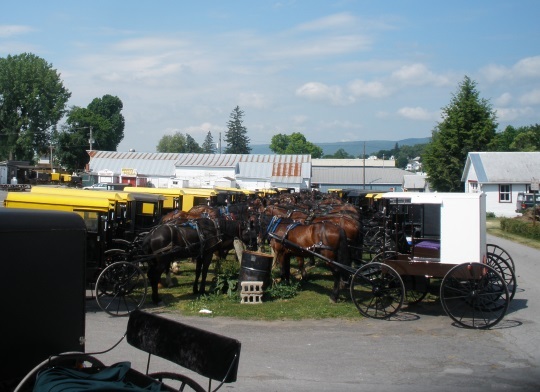 I attended the Mifflinburg auction last week – my first time for that one. 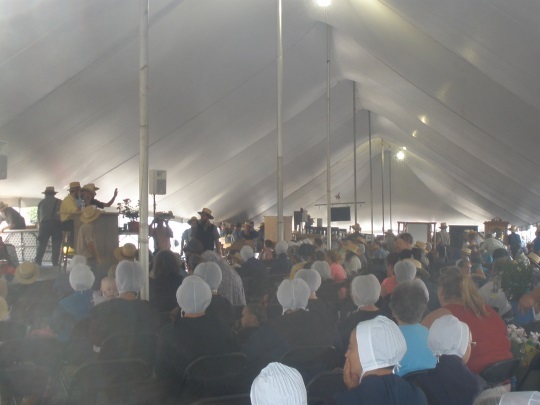 It is perhaps 1/3 the size of the main auction in Leola, which made it much easier to get back and forth between the auction and the food. I would put the attendance at about 80% Mennonite and 20% Amish, though of course there were some English folks there as well. Drs. Morton, Strauss, and Williams made their usual inspiring speeches, which are always well-received. I am always amazed at how quiet it gets when they are ready to talk. The scenery around Mifflinburg and nearby Penn’s Valley is very similar to the rolling hills and valleys of Lancaster or Holmes counties. Hello Rick, I was at Mifflinburg as well. I have never attended a Lancaster County auction and try to stay on this side of the River. OK, Gratz and Lebanon are my exceptions. Mifflinburg had such a variety of plain folks. 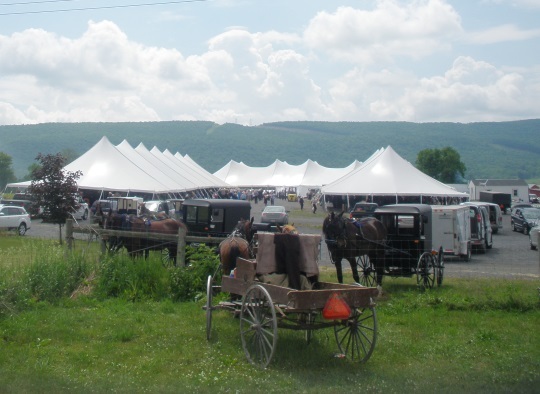 I noticed three different groups of Amish and five or six sects of Mennonite. 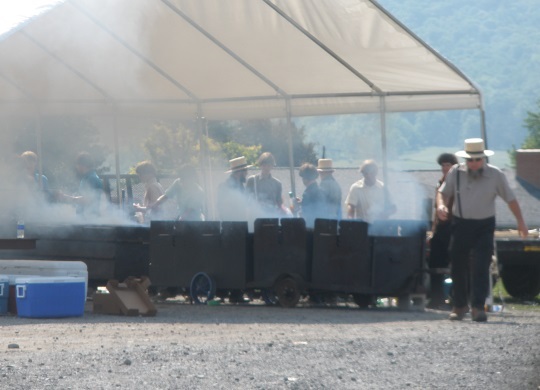 I noticed the Mennonite men cooked the chicked and Amish men made the ice cream. Have yo ever been to the Beaver Run sale in Danville? I’m wondering haow it compares in size to the Lancaster County events. Thank you for this post, Erik! Another clinic in the “family,” in collaboration with the Clinic for Special Children, is New Leaf Center in Mt. Eaton, Ohio, in the Wayne/Holmes County area, which opened in January 2013. The Indiana Community Health Clinic had their 3rd annual benefit fundraiser auction on May 8, 2015. In the fall, they have a Dutch Dinner fundraiser. The Clinic for Special Children is co-hosting the 3rd annual “Translational Medicine in Plain Populations” conference, July 9-10, 2015, in Lancaster, PA. Registration deadline: Tuesday, June 30th. The aim is to bring together clinicians, scientists, administrators, and other interested parties to discuss health and science topics related to the Plain populations of North America. (Windows of Hope project, understanding inherited conditions. I’m so glad to see people in different states/communities starting these clinics to help “special” children. Here in Holmes we have a program set up where single ladies volunteer to take care of special children on week-ends. This is a good break for the parents and it’s a blessing to the caregivers as we get to know these girls and their parents. We usually have 2 or 3 caregivers and up to 5 or 6 children each Sunday and it’s also available for them Fri. eve and Saturday. There would be a great need for more of these places, so hopefully in the future more can be set up. And perhaps others could set up similar programs in other communities. You will be blessed for helping these “special” children. No, I haven’t been to the Beaver Run sale. I live in Virginia, so I only make it to a few auctions in PA each year. It becomes difficult to decide which ones on occasion since they have a tendency to be on the same Saturday of the month each year. 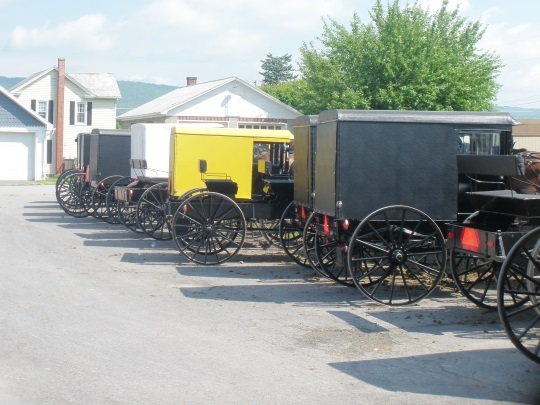 I usually opt for the New Wilmington PA auction but wanted to see the Mifflinburg one for something different – can’t say which of those 2 I’d pick for next year. First Annual Public Benefit Auction and Bake Sale to support the CENTER FOR SPECIAL CHILDREN, A place for families with genetic and metabolic conditions, a program in LaFarge, Wisconsin. 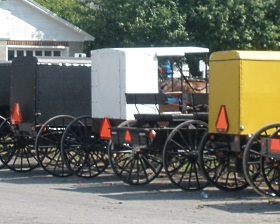 Saturday, July 25, 2015, 9:30 a.m.
Amish and Mennonite families are organizing this auction to assist. Money raised at this benefit auction will go to a restricted fund in the Vernon Memorial Healthcare Foundation.